Shakib al Hasan has been putting in notable performances for some time, and he continues to impress despite having a relatively low profile internationally. If you’re not familiar with him, then watch the below and learn something. Day-Night Tests on the horizon? What might turn out to be the future of Test cricket is taking shape with the news that Bangladesh and England are set to play a Day-Night Test– assuming that the ICC agrees. The MCC’s World Cricket Committee is set to meet ICC representatives in November to discuss the idea, which could include the use of coloured balls and maybe even a change of clothing for the players. With the longest form of the game seemingly under constant threat, ideas like this could be the way forward, but those involved will have to be careful that they don’t end up losing the ‘traditional’ elements of the Test format that make it such a unique spectacle. Ultimately, it will be the attitude that the ICC (and, realistically, the BCCI) takes to this development which will be crucial. It’s also nice to see the MCC at the forefront of new developments, giving the lie to the organisation’s reputation for conservativism. Whilst the cricketing world has been looking forward to the Fifth Ashes Test at the Oval, remarkable things have been happening in Zimbabwe. 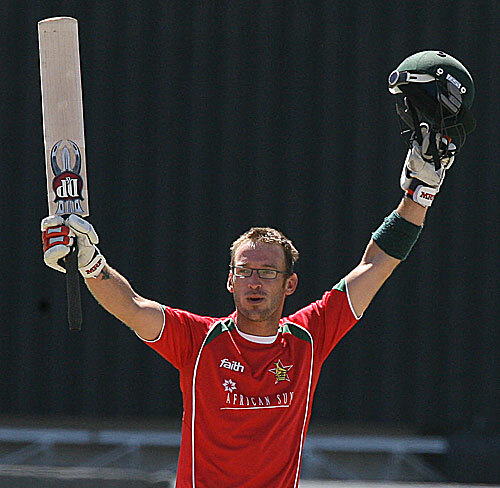 Trailing 2-1 in the ODI series against Bangladesh, the hosts must surely have fancied their chances of levelling it after posting 312 in their 50 overs, including a world-record-equalling 19 not out from Charles Coventry (which is almost certainly also a record for a man wearing glasses). Even that wasn’t enough as the tourists, led by Tamim Iqbal‘s 154 from 138 balls (a career best), reached the required 313 in just 47.5 overs. It must have been one hell of a batting pitch. 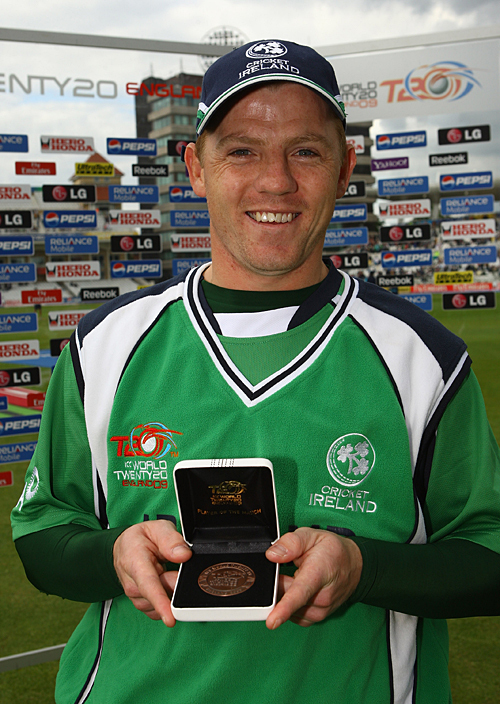 What is it about international cricketers and buses? After Jamie Siddons’ concerns about Bangladesh’s coach-related timekeeping comes news that Andrew Flintoff is similarly lacing in bus-catching skills. Although no mention of alcohol consumption has been made by the ECB, The Times have chosen to illustrate Michael Atherton’s report with a picture of Flintoff downing a beer, implicitly drawing parallels with a certain other power-hitting all-rounder who has recently made headlines for reasons other than cricket, as well as raising the spectre of the infamous ‘Fredalo‘ incident of 2007. Perhaps more worryingly, Andrew Strauss has said that “punctuality has been a bit of an issue recently with a few players“, which doesn’t bode well for team morale, togetherness and all the other things that the team’s trip to Belgium was supposed to instill in the first place. 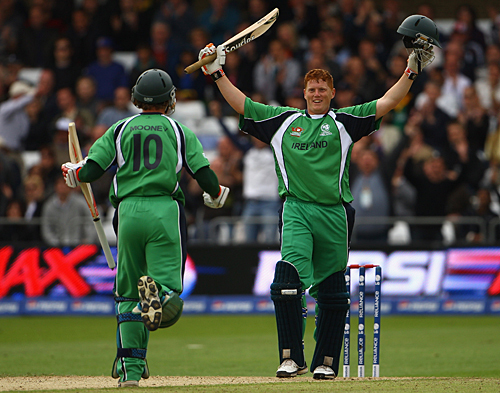 Ireland qualified for the Super Eight stage of the World Twenty20 with a victory over Bangladesh that came courtesy of brothers Niall and Kevin O’Brien. Of the two teams, Bangladesh looked more like the side unused to the big occasion, with wickets being thrown away with gay abandon throughout their innings, with Tamim Iqbal’s run out being a comic highlight. Mohammad Ashraful also committed the cricketing equivalent of hari-kiri in the sort of display that had coach Jamie Siddons up in arms. Apparently, one of the main issues is “getting to the bus on time”.